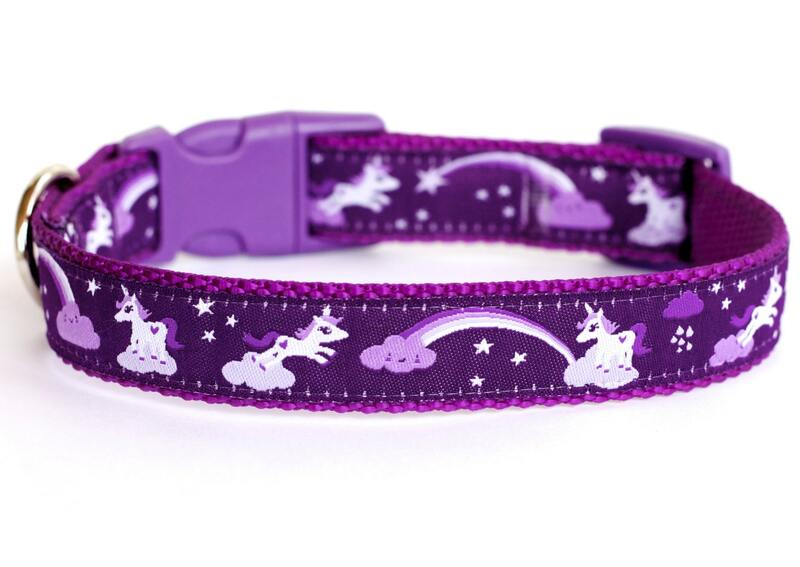 Purple Unicorn Dog Collar. 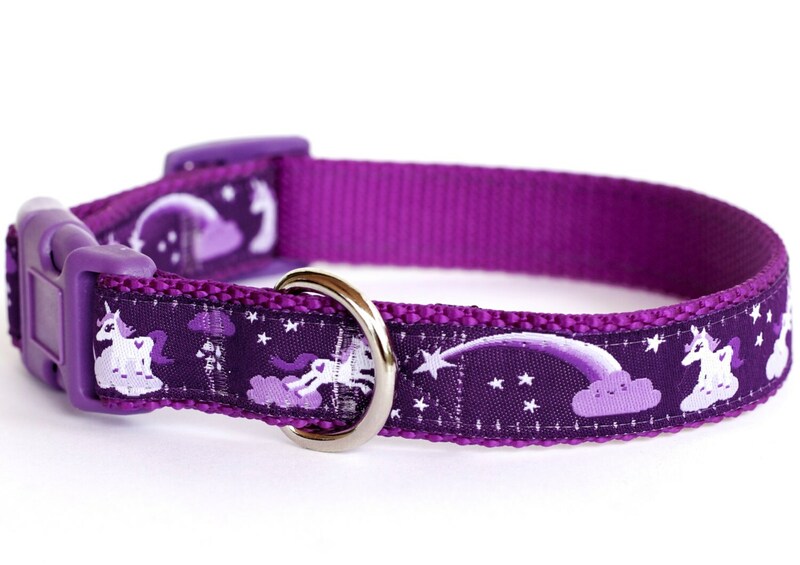 Cute dog collar with purple unicorn jumping over purple rainbows. 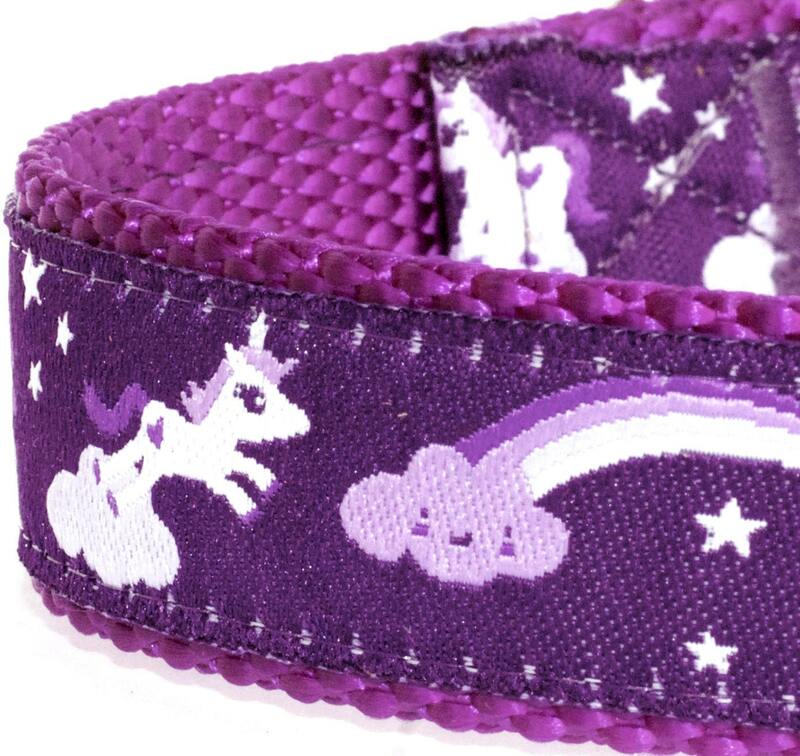 It is placed on purple heavyweight webbing. 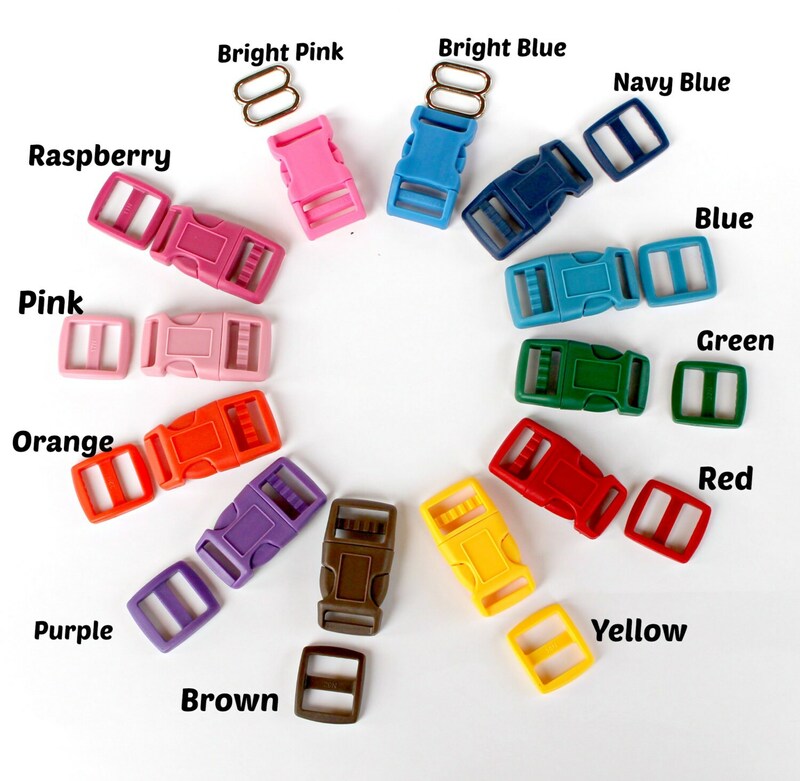 **Colors may vary per your computer monitor and brightness settings. 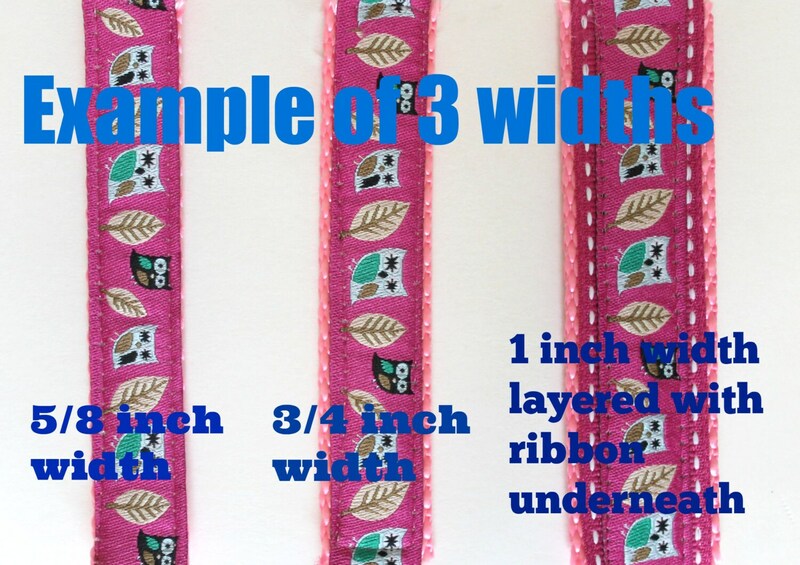 If you purchase a 1 inch width collar they will be made as in this listing with ribbon layered underneath the ribbon per the last picture above. Perfect! Just as the picture shows. Well made and arrived safely in a timely manner. Definitely one of my favorites from you, thank you! Looks wonderful and fits Gina perfectly! Thank you so much!